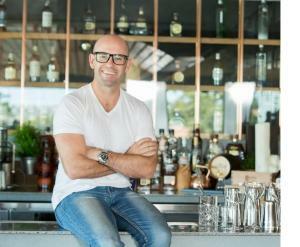 Adam joined Diageo in 2012 as Marketing Manager heading up the white spirits portfolio. In October 2013, Adam took on the role of Marketing & Innovation Director and since then has set out a clear vision for the marketing function. He has reshaped the team to deliver against his vision, as well as stretched the businesses thinking on what we take to market, how we take it to market and the channel we use to get there. As part of his role, Adam is responsible for brand, category, shopper and customer marketing as well as developing Diageo’s innovation pipeline. Adam began his career with Swift and Moore (now Brown Forman Australia) where he cut his teeth in alcohol brand marketing. He later managed his own strategy and research business, worked on start-ups such as SKINS Compression and Unistraw and re-launched the much loved Aussie icon, Volley during his time with Pacific Brands.Adam is passionate about brands, innovation and big ideas. He loves connecting great brands and working with great people to deliver true breakthroughs. Adam is married with three children. Adam also runs… a lot. He runs to stay sane.